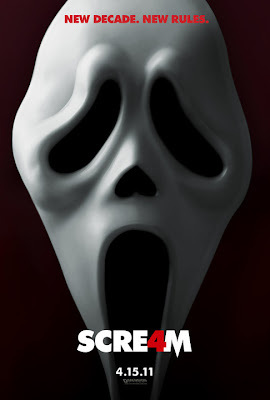 My answer is without a doubt the Scream trilogy. Not only do I own the full DVD box set, but I also wrote an essay in college about the trilogy from the feminist's perspective (nerd alert, I know, but it was actual a pretty good paper). Directed by Wes Craven, those three movies reinvigorated the horror genre in the late '90s while also constantly commenting on its predictable set of rules and messages. In one moment, the audience is laughing at Stu's buffoonery, the next they are smiling at Duey and Gail's budding romance, the next they are screaming in terror as Ghost Face crashes through a window. For my generation, it's a horror franchise that we grew up with—remember that first terrifying Halloween when everyone dressed up in that mask?! Despite my newly found anxiety toward scary movies, this is one I absolutely cannot miss.